Sixteen food trucks will line Second Street between Rosa Parks and Race streets from 11:30 a.m. - 1:30 p.m. Thursday, April 19. Downtown diners will have a chance Thursday to preview some of the food trucks participating in this year's Taste of Cincinnati event. 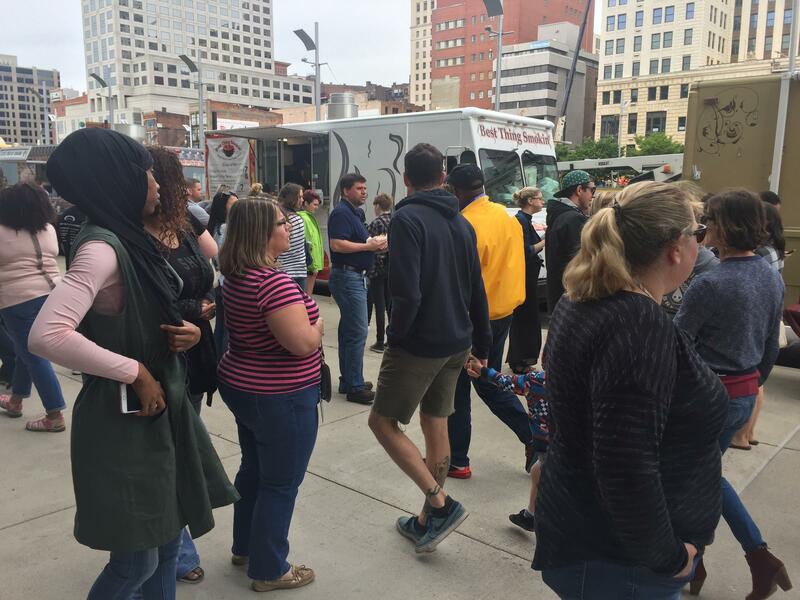 Sixteen food trucks will line Second Street between Rosa Parks and Race streets from 11:30 a.m. - 1:30 p.m. April 19 as a means to hype the larger Taste of Cincinnati event, happening May 26-28. 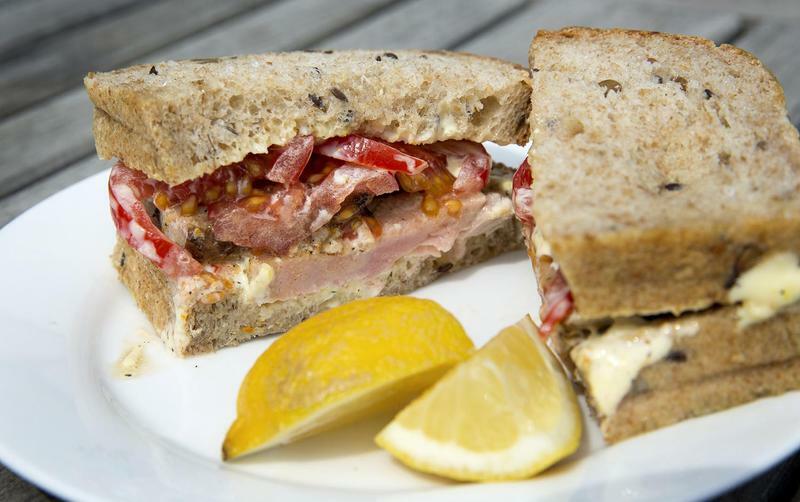 On Thursday, vendors will only serve food also being dished up at the marquee May event. "It's not a free lunch, but it will be a good lunch," says Rich Walburg, communications director for Cincinnati USA Regional Chamber, which hosts the event. "There will be a variety of trucks -- more than last year." While Taste of Cincinnati got its start in 1979, food trucks didn't enter the picture until 2014, Walburg says. Crowds gather at a previous Taste of Cincinnati food truck event. More than 50 food trucks and restaurants are scheduled to participate in the main May event, which will take over Main to Sentinel streets and the ramps to I-71 and Columbia Parkway. Over 30 musical acts also are scheduled to perform that weekend. Taste of Cincinnati takes place Saturday, May 26 and Sunday, May 27 from 11 a.m. - 11 p.m. and Monday, May 28 from 11 a.m. - 9 p.m. Learn more at tasteofcinicinnati.com. The light and art show that replaced Lumenocity and attracted an estimated 1 million people to Downtown and Over-the-Rhine will be back, but not until next year. The Cincinnati Regional Chamber says Blink will return in October 2019 with large-scale projection mapping, murals, light sculptures and other entertainment. Greater Cincinnati Restaurant Week returns the week of April 16 - 22, with more than 40 area restaurants offering $25 and $35 three-course prix fixe menus. Our resident chef Kathy Gunst has come up with fresh takes on tuna salad, grilled ham and cheese and chicken salad sandwiches, and brings them to share with Here & Now‘s Robin Young and Lisa Mullins.